Three blueberry recipes in a row?? I know, I’m a little obsessed. 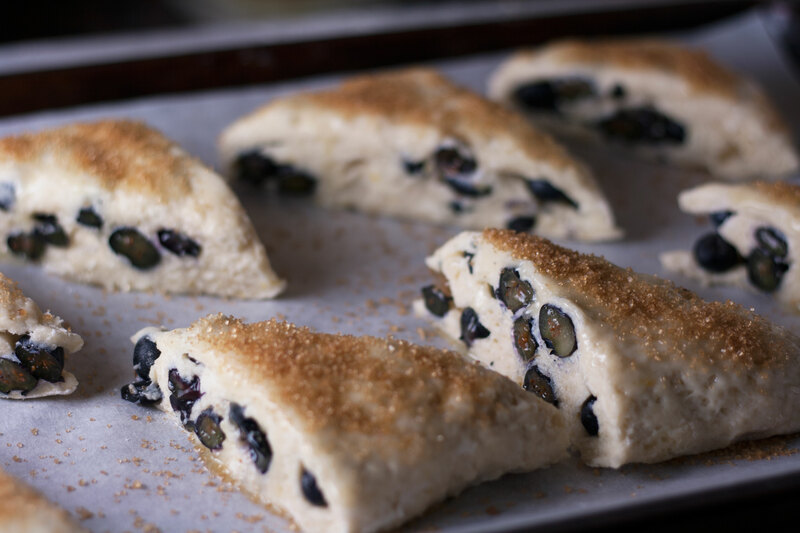 I swear I tried to make something else, but it was a disaster, and needs some work, and I bought more blueberries that tasted like candy, and I haven’t made scones in a while and damnit, this recipe is genius. No beating around the blueberry bush. 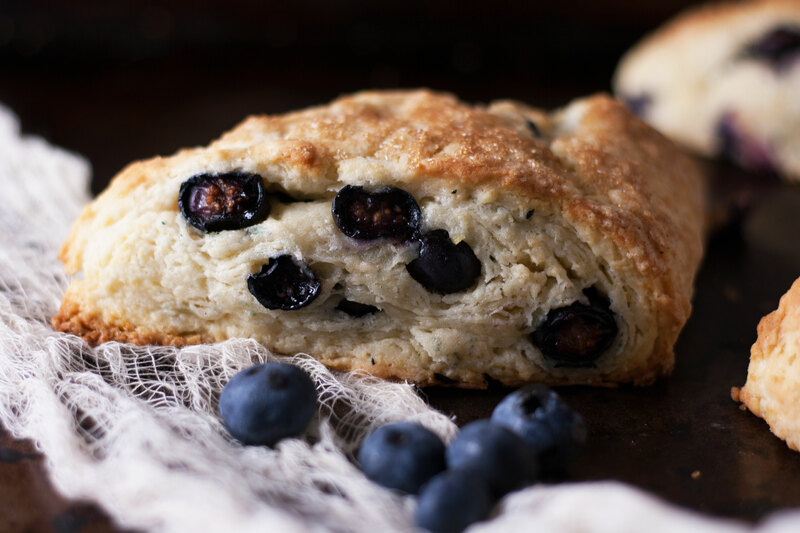 This recipe needs no long-winded introduction because these gorgeous, tall triangles dotted with sweet bursts of fruit are simply the best blueberry scones I’ve ever tasted. Like the base of my strawberry scones from last year, this recipe is from Cook’s Illustrated, and these, too, aren’t your typical dry, crumbly confections. Their method, which I’d been curious about for years, is brilliant. Typically, cold butter is worked into the flour much like we do for pie dough. 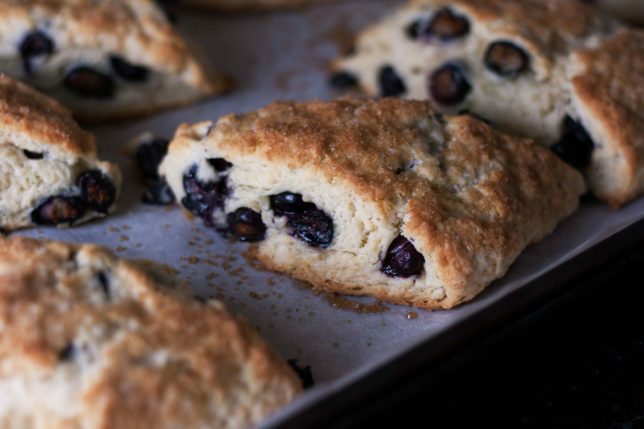 The strawberry scones, however, use softened butter to create a tender interior. Here, the butter is frozen, and then grated. This trick, along with a mix of milk and sour cream, yields an extraordinarily tender scone with a perfectly delicate crunch on the outside. But the ingenuity doesn’t stop there. 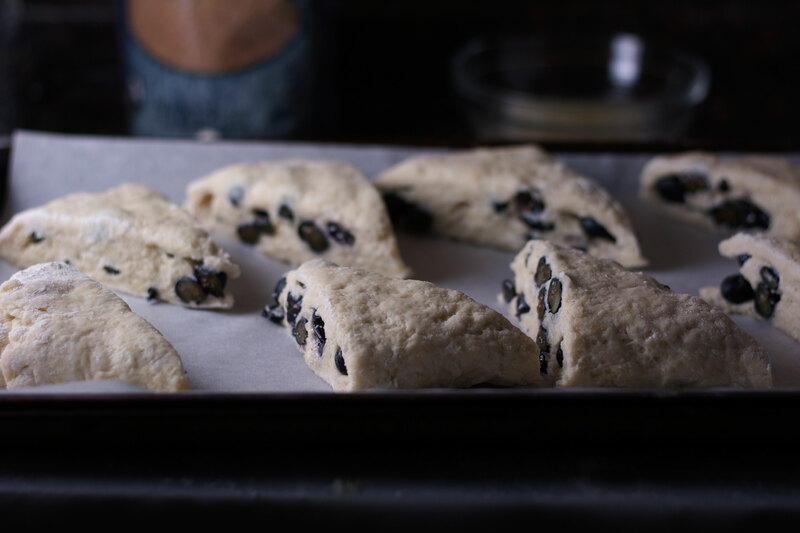 While it’s nice to just mix everything together, pat it into a round and cut a bunch of slices, this recipe helps achieve the height you’ve always dreamed of in a scone by having you roll and fold the dough like a letter. 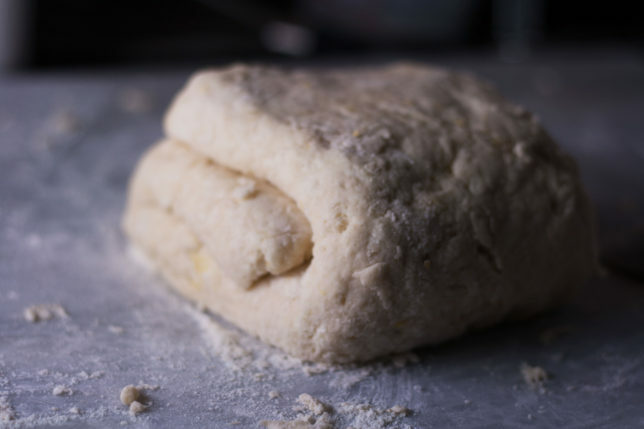 It becomes less a mass of baked dough and more like a tender, flaky, sweet biscuit. 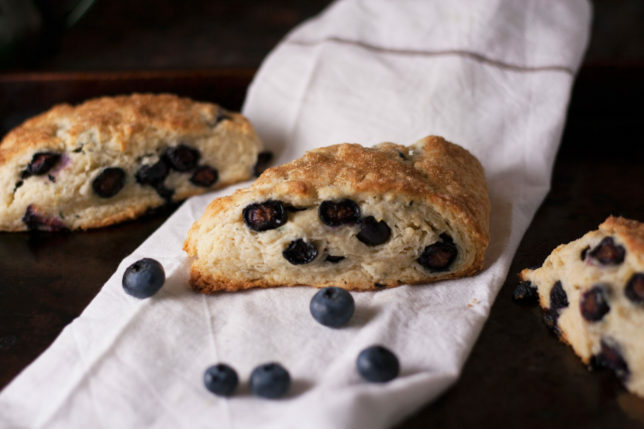 Blueberries are frozen — making this a perfect off-season recipe for bluebs you’ve stowed away in your freezer — before being pressed and incorporated into the dough. Each triangle is brushed with melted butter and sprinkled with turbinado sugar before being hoisted into a hot oven. What comes out 20 minutes later are tall, gorgeously bronzed scones, perfumed with a hint of lemon and bursting with oven-intensified, sweet blueberries. Our entire apartment smelled like a fairytale bakeshop and we simply couldn’t keep our hands off them. I can think of no better way to celebrate this bounty. Good morning, sunshine. This recipe calls for 2 sticks, or 16 tablespoons, of butter, but you’ll only use 10 tablespoons. Freeze whole sticks and peel off half the wrapper on each for easy grating. If 10 tablespoons is all you’ve got in your fridge, great — just be careful of your fingers! 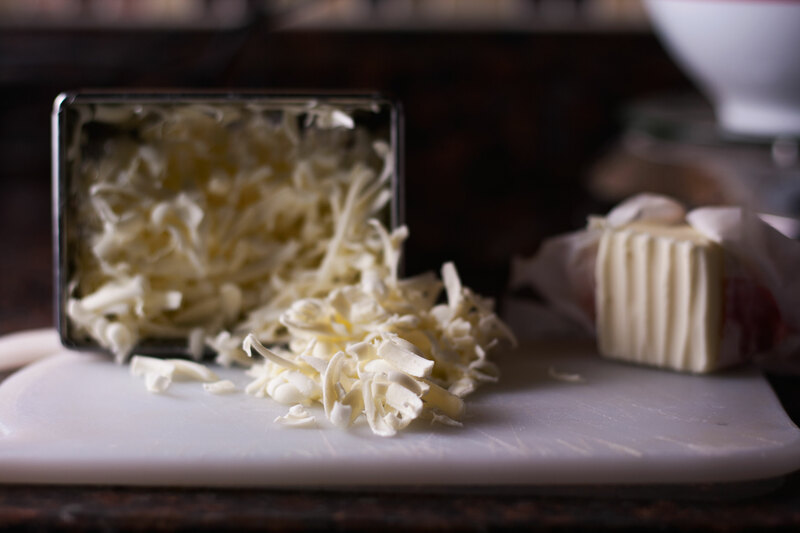 Remove half of wrapper from each frozen stick of butter and grate unwrapped ends on the large holes of a box grater — you should end up with 8 tablespoons (weighing in at 4 ounces or 113 grams). Place grated butter in the freezer until needed. Melt 2 tablespoons of remaining ungrated butter and set aside. Save remaining 6 tablespoons of butter for another use. 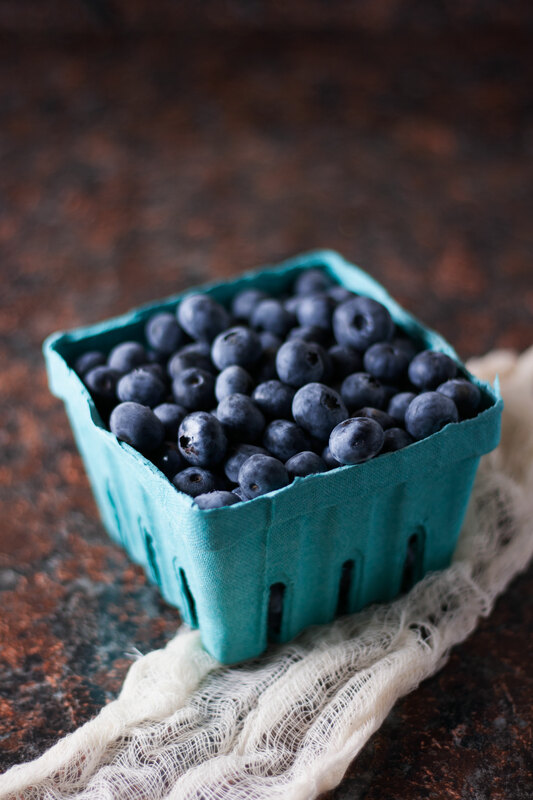 Place blueberries in the freezer until needed. Whisk milk and sour cream together in a medium bowl and refrigerate until needed. In a large bowl, whisk together flour, granulated sugar, baking powder, baking soda, salt, and lemon zest. 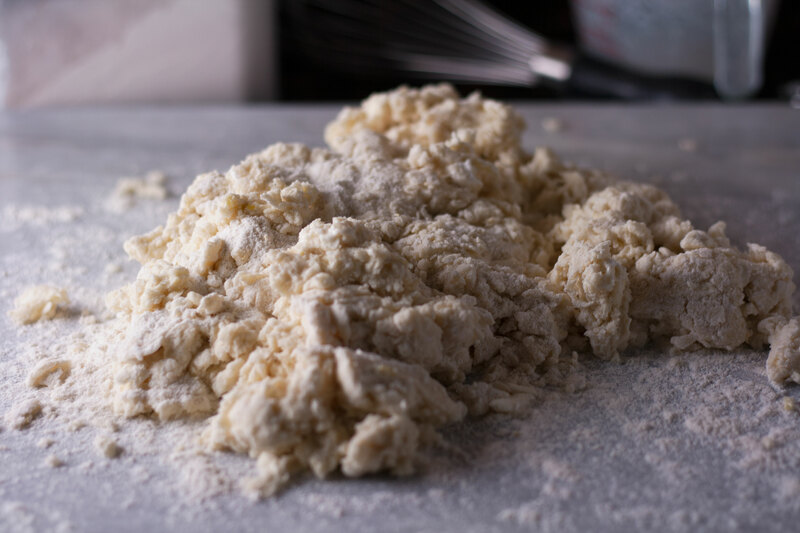 Add frozen grated butter to flour mixture and toss with your fingers until butter is thoroughly coated. Add milk mixture to flour mixture and fold with a rubber spatula until just combined — it will still be quite crumbly. 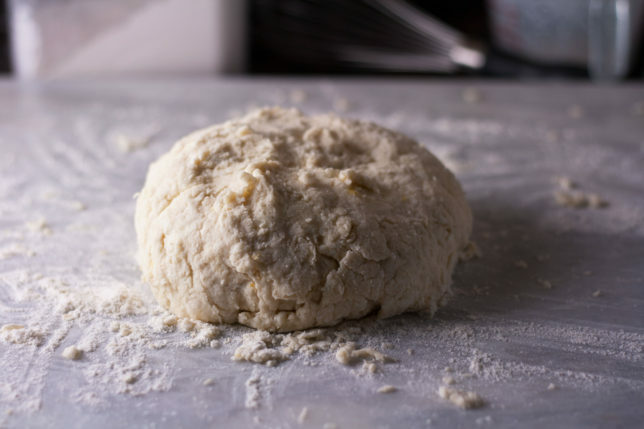 Transfer dough to a liberally floured counter, dust the surface of the dough, and with floured hands gently knead the dough 6 to 8 times, until it just holds together in a ragged ball, adding flour as needed to prevent sticking. 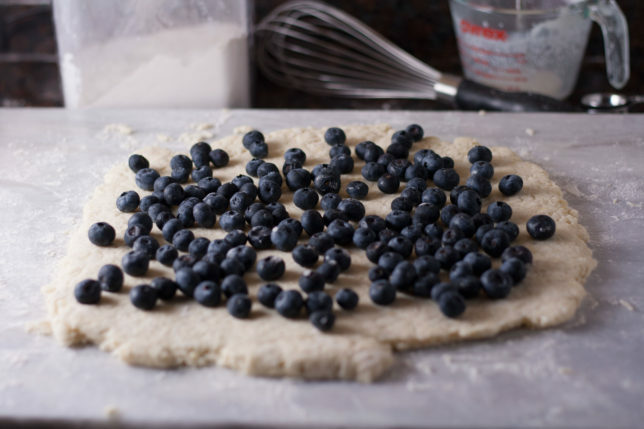 Roll the dough into an approximate 12-inch square. Fold the dough into thirds like a letter, using a bench scraper or thin metal spatula to lift it from the counter if it’s sticking. Lift the short ends of dough and fold into thirds again to form an approximate 4-inch square. It doesn’t need to be perfect. Transfer dough to a plate that has been lightly dusted with flour and chill in the freezer for 5 minutes. Transfer the dough to a re-floured counter and roll into an approximate 12-inch square again. Sprinkle frozen blueberries evenly over the surface of the dough, then press down so they are slightly embedded. Using a bench scraper or thin metal spatula, loosen the dough from the counter and roll into a cylinder, pressing to form a tight log. Arrange log seam side down and press into a 12- by 4-inch rectangle. Using a sharp, floured knife, cut rectangle crosswise into 4 equal rectangles. Cut each rectangle diagonally to form 2 triangles and transfer to prepared baking sheet. 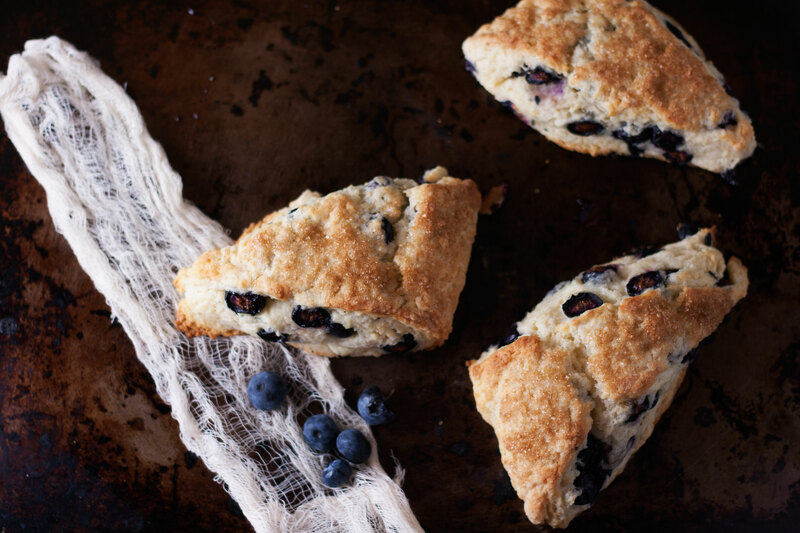 Brush the tops of each scone with melted butter and sprinkle with turbinado or other coarse sugar. Bake until the tops and bottoms are golden brown, 18 to 25 minutes. Transfer to a wire rack and let cool for at least 10 minutes before serving. These scones are best the day they’re made, but keep for another 3 days in an airtight container. Bring them back to life in a 300 degree oven for 10 minutes.